In 1933, an original Craftsman, Nikola Rasic, brought his vision and skills to Los Angeles and opened Nick’s Café on Sunset Blvd. The concept was simple and was truly a hand-crafted labor of food, hospitality and service provided to the people of Southern California. The next generation of Craftsman opened just down the street in 1958 and Nikola’s became known as a Southern California landmark for the next 30 years. Brothers Walt, Pete, and Nick worked from behind the counter while Mama cooked up the daily specials and greeted guests and regulars as they walked through the back kitchen door. Let Craftsman Catering take care of all of your catering needs. We offer full service catering with the option of on-site cooking and excellent Craftsman Hospitality. Perfect for corporate events, weddings, tailgate parties, or any gathering with friends and family. You focus on fun and let us take care of the rest. We have an award-winning chef available to meet all of your catering needs. Let us know how we can create a custom menu for your next event. We’d love to help you host your dream event! 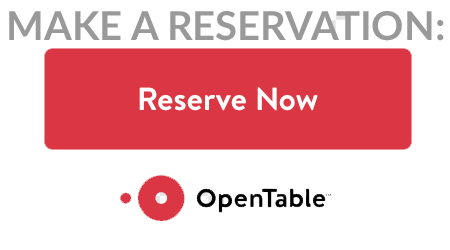 Click the button below to let us know all about your event and request a quote. 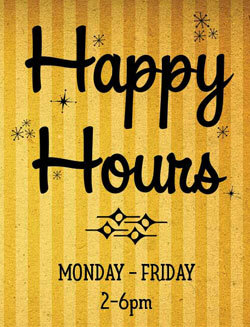 $2 off appetizers, draft beer and select wine. $2 off signature cocktails at Craftsman-Anaheim! 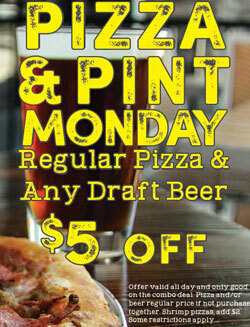 $5 off a regular pizza and any draft beer. Offer good ALL day Mondays. Add $2 for shrimp pizzas. Share a meal and a bottle of wine on Wednesdays. 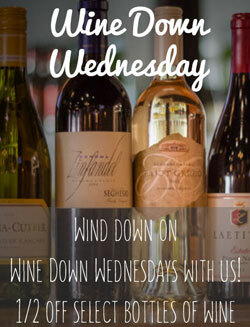 Half off select bottles of wine on Wine Down Wednesday. Check out what we have on tap! Find a new favorite. 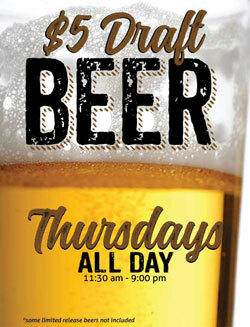 $5 Draft beer all day every Thursday.